You are here: Home / health tips / Should I Be Taking Aspirin? 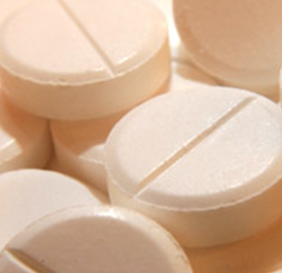 Do you take an aspirin a day to prevent a heat attack? Do you know someone who does? Nearly a third of middle-aged Americans regularly take a baby aspirin in hope of preventing a heart attack or stroke. Some doctors are reporting that they are stopping more patients from taking aspirin than they are starting on aspirin. Recently in the medical journal Archives of Internal Medicine, is a study of more than one hundred thousand people who had never had a heart attack or stroke. They were given either aspirin or a non-aspirin placebo. They found the overall risk of dying is the same with both groups. The aspirin takers are ten percent less likely to have any type of heart event, but were thirty percent more likely to have a serious gastrointestinal bleeding event, a side effect of frequent aspirin users. They concluded that people without a previous heart attack or stroke, the regular use of aspirin may be more harmful than it is beneficial. If you are taking an aspirin without being directed to do by your doctor, ask your physician if you should be taking it. Don’t use it as a false sense of security. But here’s the main point to realize. If you are trying to take something to prevent a clot from forming in the battlefield, you should also be doing lifestyle changes to prevent the battle from ever occurring. If you are not living the lifestyle, and only taking the aspirin, you are simply going bear hunting with a switch. If you are concerned about having a heart attack, read and study Prescription For Life and learn how to develop the lifestyle of eating properly to keep your LDL cholesterol down, plus exercising and losing weight to get your HDL cholesterol up. And by the way – If your doctor recommends you to take an aspirin, by all means take it while you are doing the big three lifestyle changes.